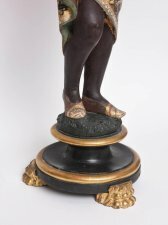 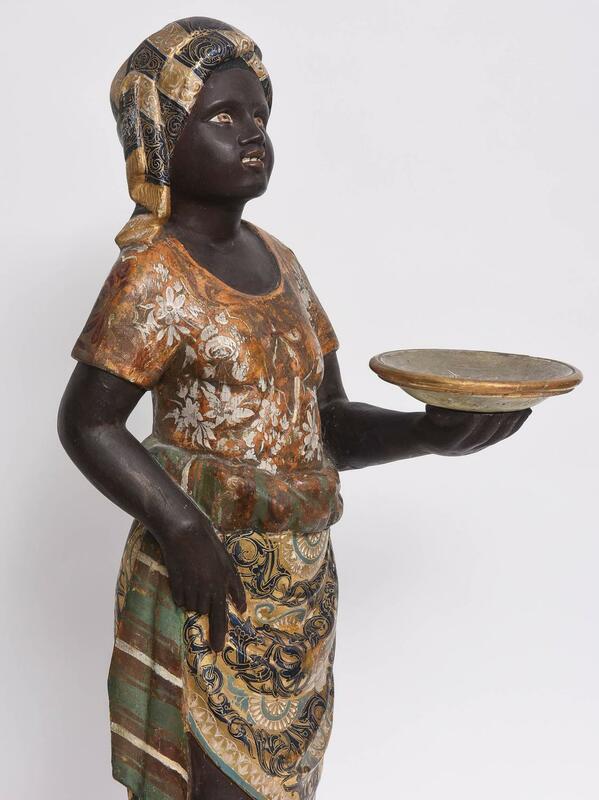 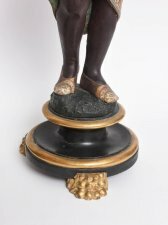 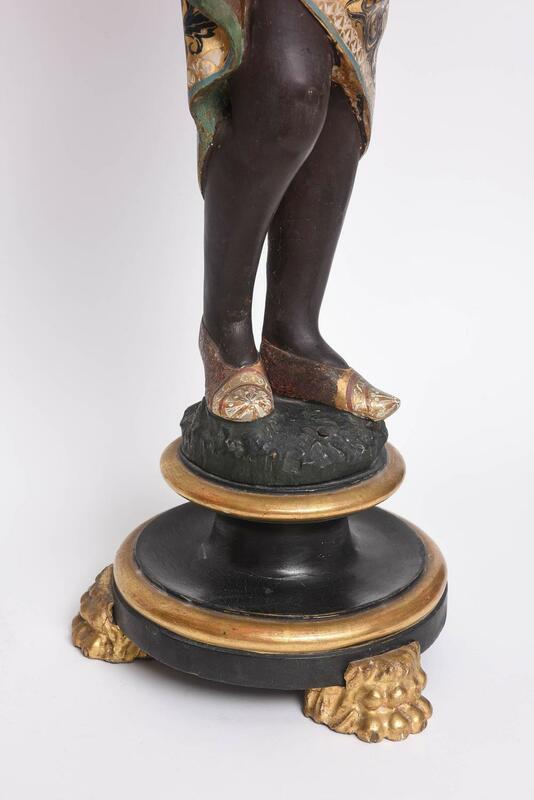 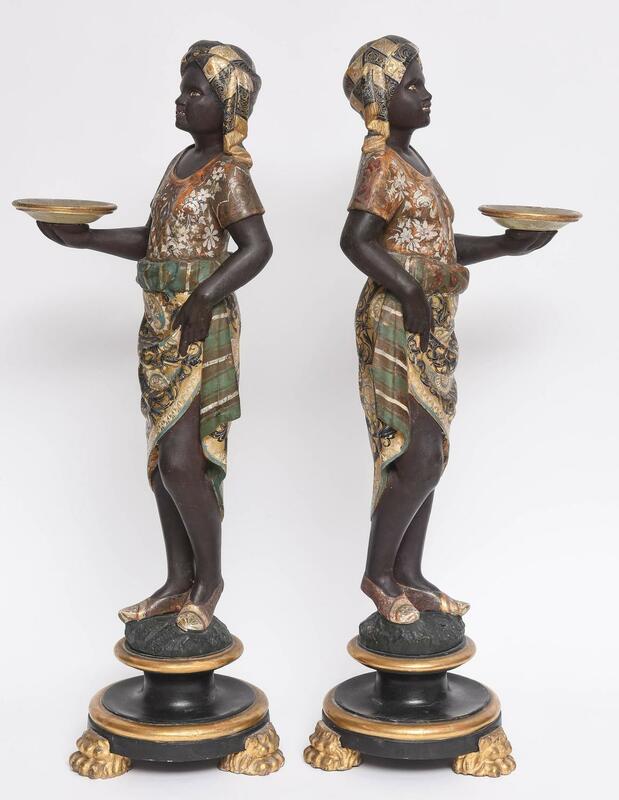 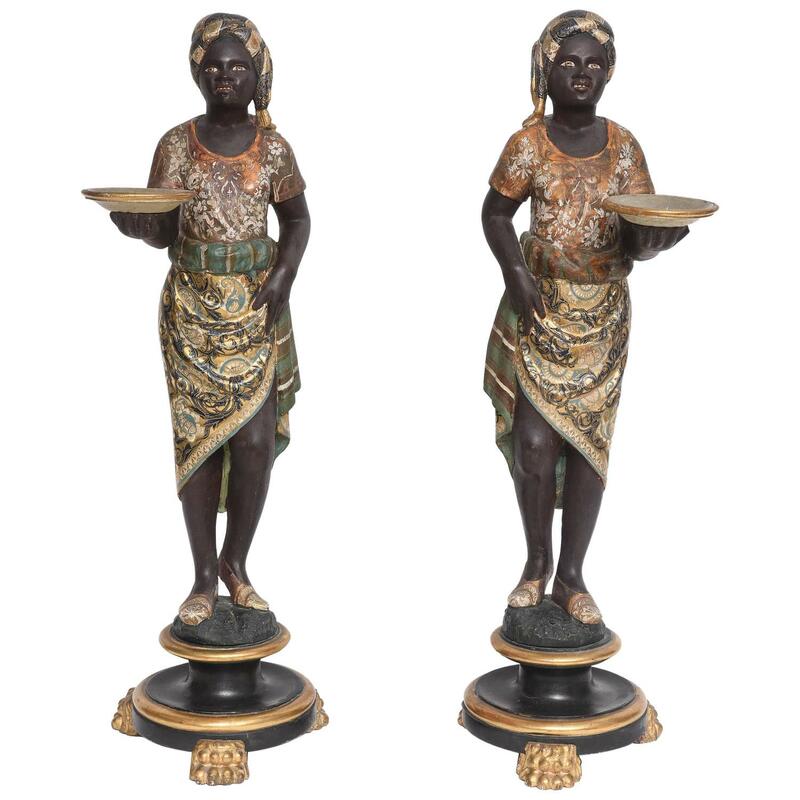 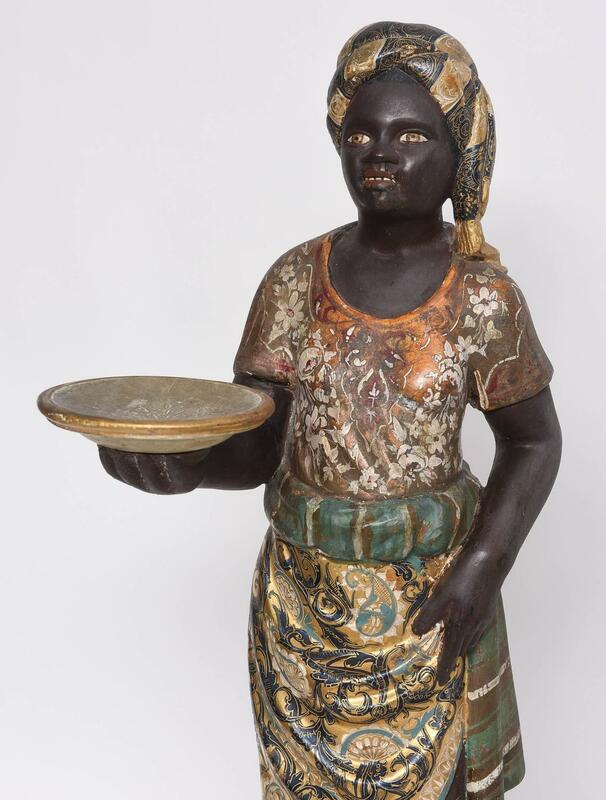 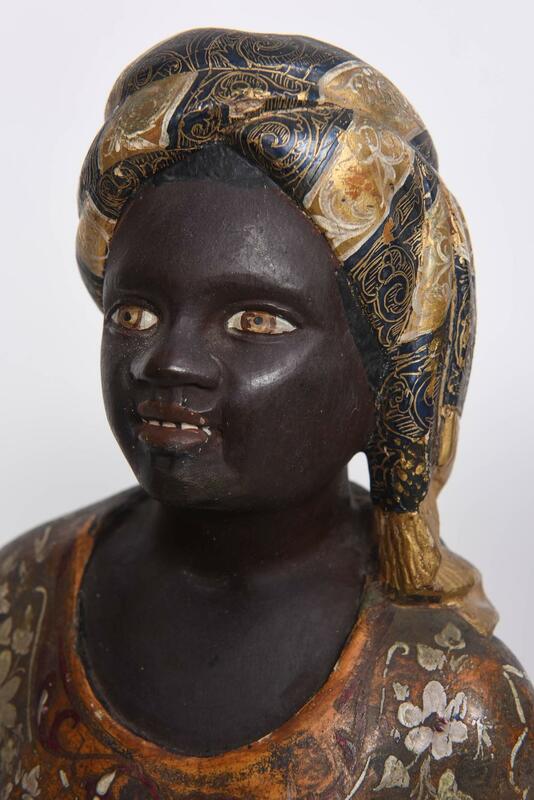 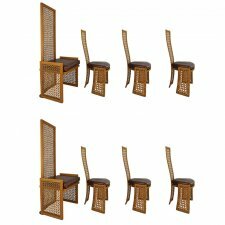 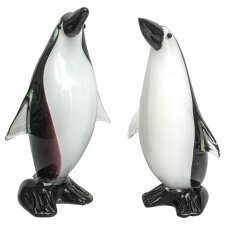 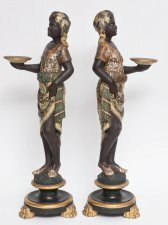 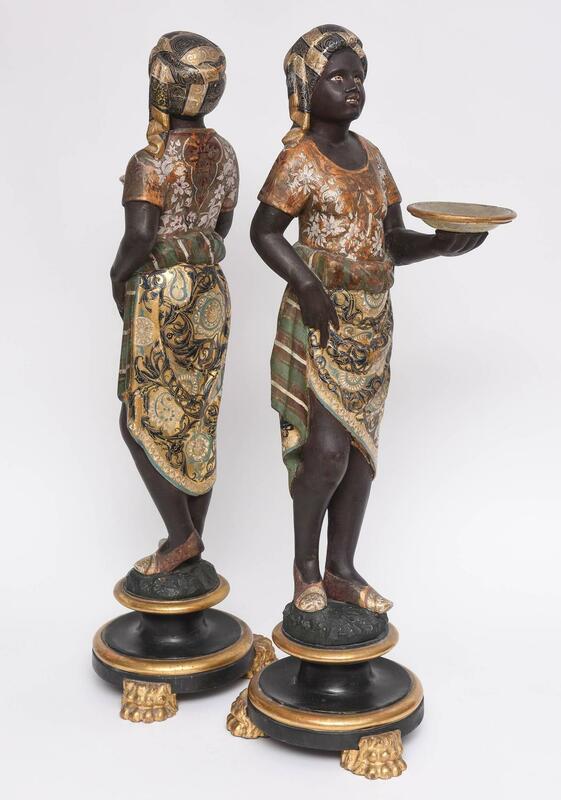 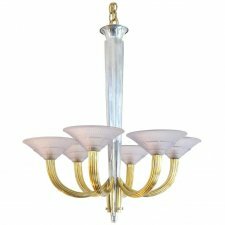 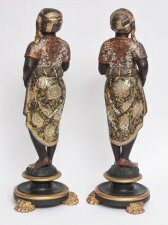 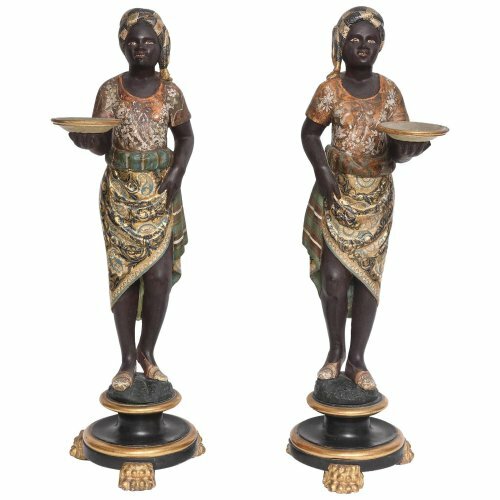 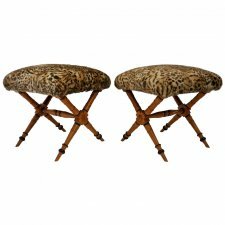 This amazing set of blackamoors date from the late 19th century and were purchase in Venice, Italy. 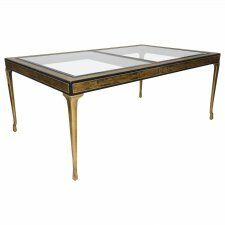 The female figures are draped in exotic patterned fabrics in colors of soft white, turquoise grey, blue-black, rouge and gold. 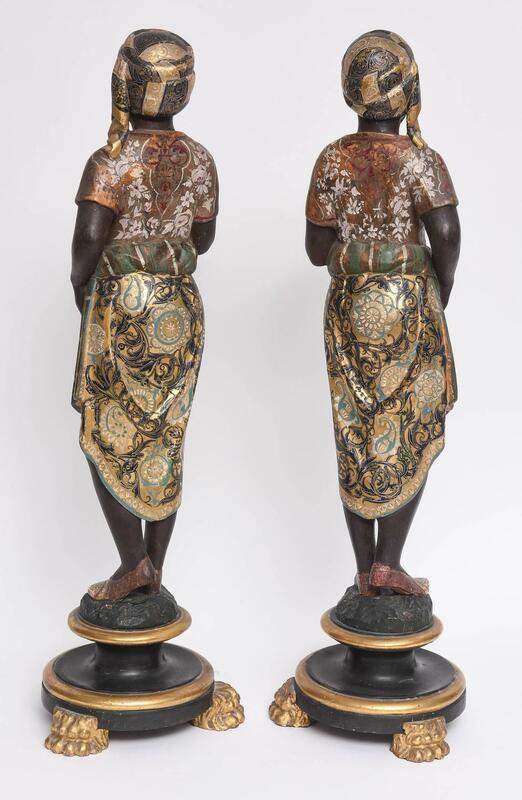 There is some wear to the upper blouses of the figures (see photographs) and some in-painting.